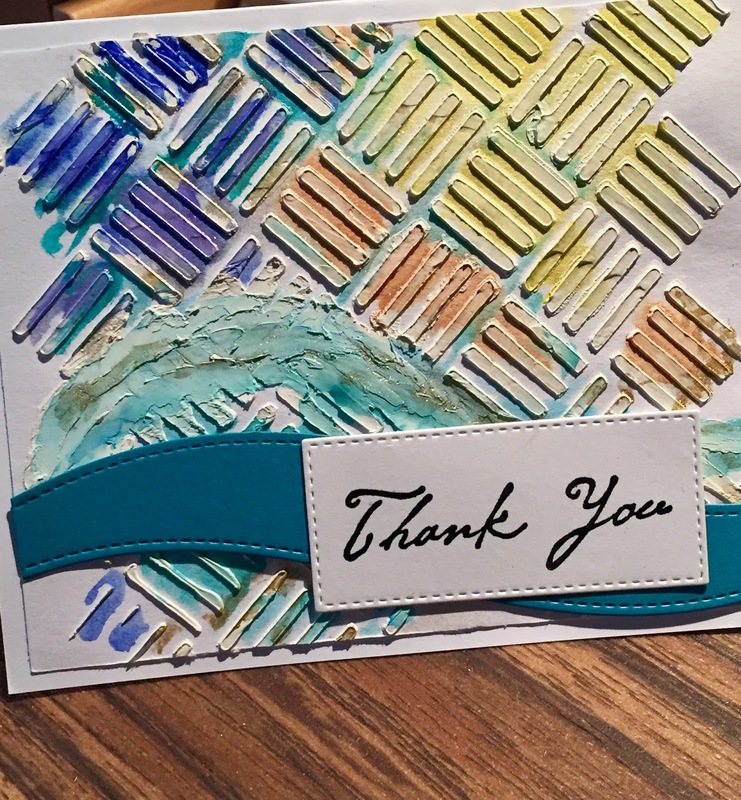 This card was created for the Geometric challenge #329 over at Less is More blog. I made a stencil using my Cricut and brushed some texture plaster over it. Then I smushed a curvy line near the bottom. Once it was dry I washed on watercolors, then added the wavy line and sentiment. Thanks, Wendy! I know what you mean, this is a hard challenge, especially for someone like me who would rather stamp flowers! I'm not thrilled with the lack of white space on mine but I'm learning! Your card has wonderful contrasting elements and a lot of texture -all great for adding interest to CAS designs. Thanks for joining us at Less Is More!